Picture this – a half-off deal on select puzzles. For its Deal of the Day, Amazon.com is currently selling a variety of puzzles from Melissa & Doug, Ravensburger and White Mountain Puzzles for up to 50% off. You can put together any number of pictures for this discounted price. 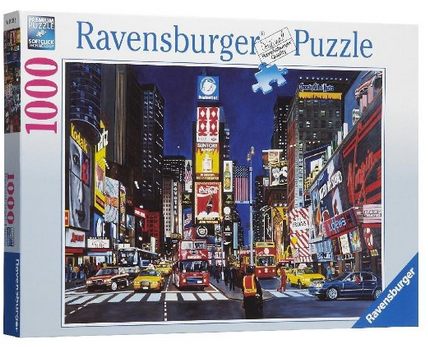 The Ravensburger Times Square 1000 Piece Puzzle is available for just $9.75 (regularly $19.49), while the Melissa & Doug Wooden Bear Family Dress-Up Puzzle is being sold for just $8.99 (regularly $14.99). Shop online to find a puzzle that fits you. This offer is valid today (Jan. 23) only. Grab this deal at Amazon.com.